Regardless of whether your home is newly built or has seen generations of people pass through its doors, it is important – for many reasons – to ensure that your house is designed to save energy and money for you and your family. New housing developments seem to be popping up like dandelions in spring, and if you are in the market for a new home they are ideal for those who want an energy-efficient residence because they are often built with energy efficiency in mind. If you live in an older home, however, it can be more of a challenge to turn your aging dwelling into the model of energy-efficient living. Regardless of whether your home is old or new, there are several things you can do to make sure it is as energy efficient as possible. Looking to Buy an Energy Efficient Home in Las Vegas? Have an energy audit performed on your home. This will let you know what areas of your home are the least efficient and where you’re not only losing heated or cooled air but also money, as it escapes through cracks, vents, outlets, and other areas that could be improved. If your home is significantly older or has historic value, make sure you have the audit performed by a professional inspector who is knowledgeable about older and historic properties. Avoid hiring an energy auditor who works for a company that wants to sell you something. These auditors will often try to convince you that your home needs improvements that are sold by his or her company, while an independent auditor is there to simply let you know where you can make improvements to your home to make it more energy efficient. While many utility companies offer energy audits for free, you may want to consider hiring an outside auditor. Free audits are often lacking in in-depth and detailed information, which means you can often miss out on a variety of data containing many useful tips and guidance on creating a more energy-efficient home. Have your utility bills for the past year (or longer) on hand so you can discuss them with the auditor, if necessary, and prepare a tracking system to determine if the changes you implement are making a difference to your energy usage and expenses. Analyzing your energy use is a great way to tell if you are succeeding in your efforts. One thing you need to know about insulation is that it is not an air barrier. Insulation is designed to reduce the loss of warm or cool air, but it isn’t made to keep air from passing through entirely. Make sure you have your insulation inspected to ensure that it is doing its job and does not need to be replaced or upgraded to more efficient insulation. Insulate your plumbing and adjust your water heater’s thermostat. Many older homes often have plumbing that passes through uninsulated parts of the house, such as a sub-floor or along the outside of a wall. When hot water runs through these areas it naturally cools, which means you are using more hot water to complete your tasks or routines. This likewise means your water heater is working overtime to provide you with that hot water. You can insulate your plumbing with pipe wraps or other materials that keep the water as hot as possible as it travels from the water heater to the faucet. After insulating your pipes, you can turn your water heater’s thermostat down to 120 degrees, which is more than sufficient for the needs of any single-family home (most are set at 140 degrees when they are installed). Consider installing storm windows that are highly rated for energy efficiency. You can also install storm windows with a laminate coating. Not only do these windows trap air and reduce warm air loss, they also offer noise reduction and aid in reducing moisture inside your home. Laminated glass is also stronger than standard glass in storm or dual-pane windows, which adds an extra layer of security to your home. If you live in a predominantly warm or sunny part of the country, you can also have windows installed that have various levels of tinting, which can reduce sun damage to the interior of your home (including your furnishings and décor) and also help minimize an increase in natural heat within your home from the sun’s rays. Upgrade your HVAC system, especially if it is older or appears to be too small (or too big) for your home’s square footage. An HVAC unit that is too big for your house is just as costly, in terms of energy usage, as one that is too small, so it is important that the system you choose is rated for the approximate square footage of your house. If the system is too small, it is constantly running to keep the interior temperatures at the desired level, while one that is too big is constantly turning on and off as it quickly reaches the temperature setting. Before you upgrade your HVAC system, make sure you’ve performed all other energy efficient upgrades and improvements. This will ensure that your heating and cooling equipment is set up for optimal performance with the least unnecessary operation or wear and tear. Saving money is always one of the goals of any homeowner, and these tips will give you some great ideas on making your home as energy efficient as possible. When you are reducing your energy consumption with an efficient home you are not only cutting back on your utility bills, you are also doing your small part to live a greener lifestyle. Many changes cost nothing but time and a little effort, so start moving toward a more energy-efficient life today. 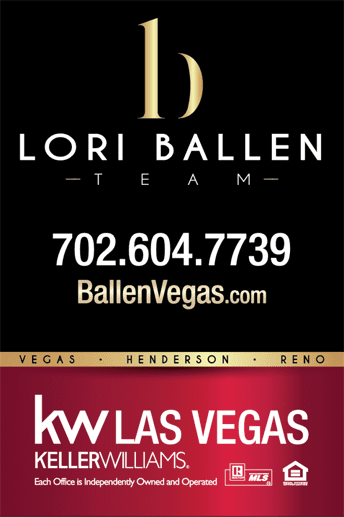 Lori Ballen Team has amazing agents across the country. Many specialize in Green Living and Energy Efficiency as well. When you decide to buy or sell a house, Please consider a Ballen agent. Call 1-800-805-8354 and let us match you. In most states, hiring a buyers agent does not cost you anything. Ask us about that! Already thinking of selling? Use the convenient 15 second Home Value Estimator.